So, what are we gonna do without Kobe? 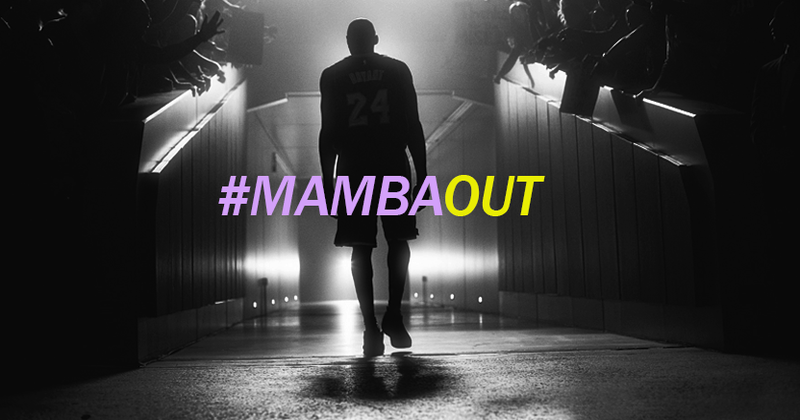 The self proclaimed “Black Mamba” has walked away from the court. I’m not gonna lie, I tried to hate on Kobe for years. Always respected what he did on the court, but questioned his attitude and commitment to team. As he got older, I think he realized that he couldn’t do it all by himself. Someone had to help out with defense, rebounding and maybe get a towel for Kobe. Scoring was under control because Kobe was putting up 25 shots a night. With with bigs, some role playing and superior coaching, Kobe was able to win a couple of rings without big Shaq. Now as far as making up your own nickname, I can’t get on board with that one. I think that Black Mamba is a perfect nickname for Kobe. He is venomous on the court. He’s a killer with that jumper. But someone else has to give you your nickname. “Air” was given to Michael Jordan, “The Mailman” was given to Karl Malone, ‘The Glove” was given to Gary Payton. But Mr. Bryant felt like he could go out and create his name. Maybe its ok. Maybe people who are huge Kobe fans can get by that one. My wife loves the guy. She will defend him to the end. Even when he got caught with that girl in Colorado and he came out and said “Well Shaq did it all the time.” Foul! But some people let that go. In the end, Kobe is a basketball player. Not a role model, not a politician, not a world saver. He’s a guy who puts the ball in the hole. Sometimes for 3 pts, sometimes above the rim with authority and sometimes with a fade away to win the game. And if anyone will be able to create their own nickname, its Kobe. Maybe Jim Brown could do it.